This week, I decided to call in the big guns for the weekly picks. Once again, the guys at Dragon’s Lair in Omaha, NE have personally curated your selection of comics for this week. Reading the books before making the picks? I guess I learn something new every day. So, this week, you get the insights of someone who has actually read the books being recommended here. Silk #1. Writer: Robbie Thompson Art: Stacey Lee Cover: Dave Johnson . Marvel Comics. Last week, I talked about my plans to catch up with the Spider Verse story arc. Based on the solicit for this book, I fear I may be too far behind for it to ever make sense. Cindy Moon exploded out of her bunker and into the Marvel Universe when we first learned that she had been bitten by that same radioactive spider in the first arc of AMAZING SPIDER-MAN. She then went on to save Peter Parker’s life (more than once!) and traverse the Spider-verse alongside Spider-Woman. 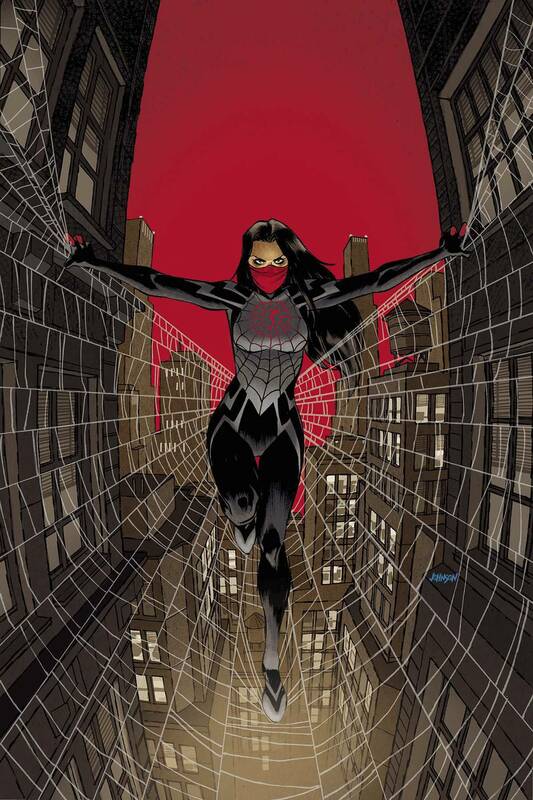 Now, as SILK, Cindy is on her own in New York City, searching for her past, defining her own future, and webbing up wrong-doers along the way! Robbie Thompson (writer from TV’s Supernatural) fills this new ongoing series with his unique blend of antics and feels. Featuring stunning covers by Eisner Award winner Dave Johnson and interiors by future superstar Stacey Lee. This sounds more complicated than the dreaded Clone Saga, but is far more widely acclaimed. Between Silk and Spider Gwen, I guess I have some catching up to do. Legendary Star Lord #9. Writer: Sam Humphries Art: Paco Medina Cover: Paco Medina. Marvel Comics. I’m glad CJ read this one, because this might win the award for “Worst Comic Cover of the Month”. Let’s count down the individual elements that add up to an awful comic book cover. Whatever that artifact is that dominates the center of the cover looks ridiculous – something like an Oscar trophy modeled after Luke Cage and Deadmaus’ love-child. Cyclops is not just a boring dud, but also appears to be a dumb mouth-breather here. 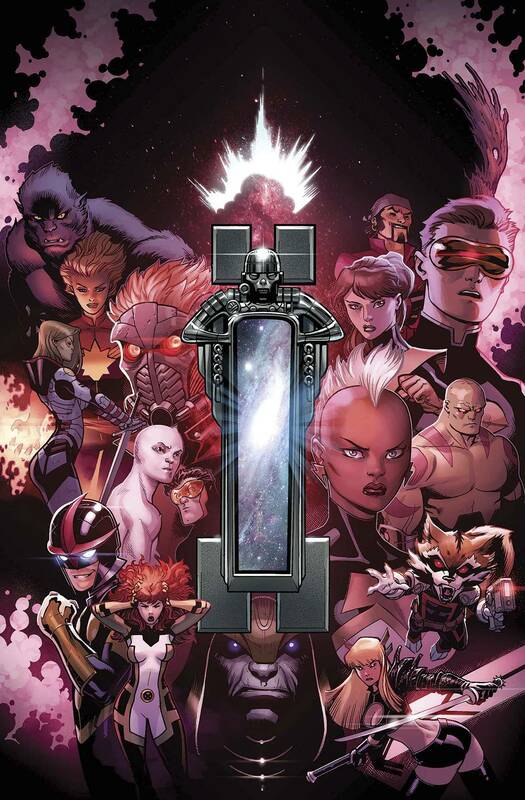 I have no idea who that space pirate behind Cyclops is. He sure seems happy, though. Is Kitty Pryde preparing to fight or to give Storm a scalp massage? Read this thrilling issue to find out. Just to the left of the space trophy… Is that Booster Gold? How did he get here? And, finally, the most egregious offense of this cover – The ridiculous pose in the lower right corner. Posted on February 26, 2015, in Featured and tagged Best New Comics, Comic Previews, Hot Comics. Bookmark the permalink. Leave a comment.